Ed Sheeran will be co-hosting the 2015 Much Music Video Awards in Toronto on June 21. The announcement was strategically made during the The Roast of Justin Bieber on The Comedy Network. 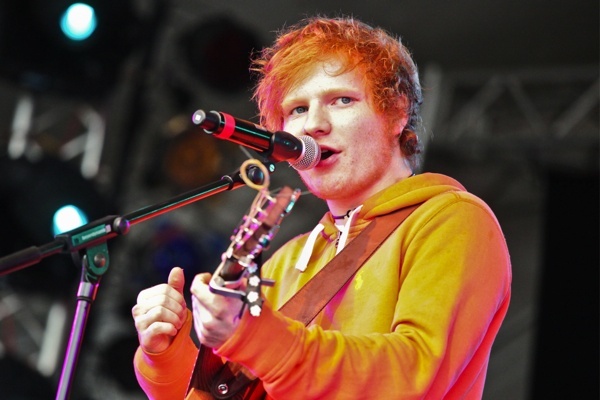 According to MuchMusic.com, Ed was chosen to the co-host for various reasons such as sold-out back-to-back headlining tours, which included a trio of shows at New York’s legendary Madison Square Garden. His second studio album, entitled X, reached number one on album charts across the globe, including in Canada, the U.S., and the U.K. and has also been nominated for six Grammy awards. The British singer will be joining the co-host ranks of Kendall and Kylie Jenner, Psy and Selena Gomez. We can’t wait to save our screams for Ed! Reese Witherspoon Pregnant – And Feeling “Very Round”!